Originated in Italy, balsamic vinegar is a condiment added to food to complement the dish as well as to enhance the flavor of the food. Since ages, balsamic vinegar has been cherished by Italians, and now has become all the rage in America. Authentic traditional balsamic vinegar is produced in Modena, in Emilia Romagna region. Balsamic vinegar is prepared from sweet white Trebbiano grape pressings, which have never been permitted to ferment into wine. It is made by boiling the grape pressings into dark syrup and then aging it under stiff conditions. Many balsamic vinegars have been aged in wooden barrels for more than 100 years, thereby enhancing its taste. As it ages, it becomes rich in essence and extremely flavored and aromatic, which makes it popular and expensive. The balsamic vinegars are dark brown in color and have a rich, more or less sweet and complex taste. 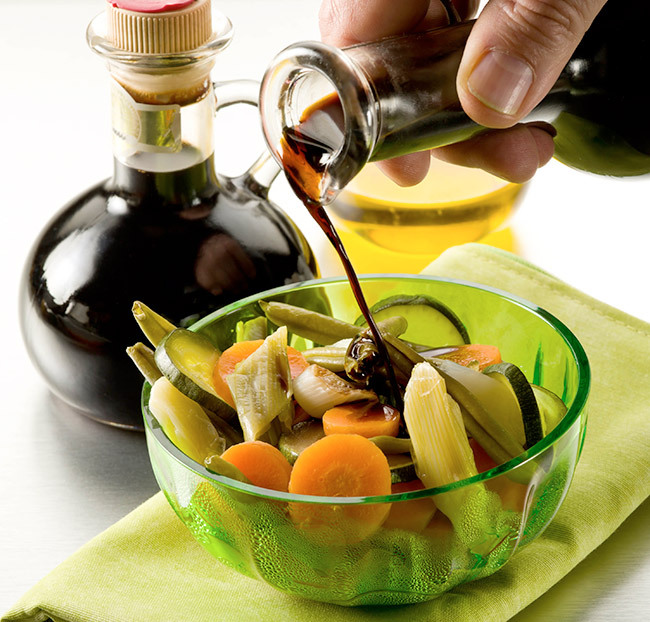 Balsamic vinegar can be used as a flavorful salad dressing or in cooking. Balsamic vinegar when added to dessert, cheese or meat elevates their taste and makes them a wonderful pairing with wine. This finest fruity vinegar can be added to many types of foods, such as spinach, after cooking to create an exclusive seasoning. It is commonly cooked with sautéed vegetables or chicken to enjoy its richness of taste. Many people savor the taste of this vinegar as a liqueur after meals. Balsamic vinegar holds a special place in the heart of gourmet food lovers and is highly valued by chefs. You forgot De Nigris on the list, third generation, authentic Italian balsamic! !